The North Fork Valley is proud to offer a variety of delicious dining options, many of which carry or use local ingredients in their menus. For a list of the current restaurants and their individual websites, menus, and philosophies, please visit the Paonia Chamber of Commerce or check out the ones below. In addition to a few hotels, the North Fork Valley boasts a large number of cozy Bed & Breakfasts, Guest Cottages, Rentals, and other alternative lodging options. 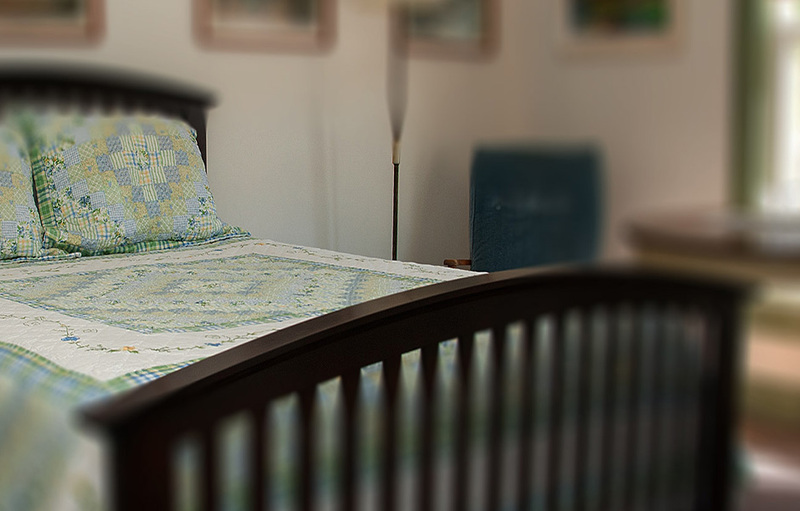 For a comprehensive list of places to stay, visit the Paonia Chamber of Commerce. The West Elks AVA boasts the highest wineries in the Northern Hemisphere and high-quality Colorado wines grown in conditions similar to those of old Europe. For a full list of wineries, events, and tasting hours, visit the West Elks AVA. The North Fork Valley offers hundreds of hiking, biking, camping, hunting, fishing, swimming, and viewing options. Below are a few of our favorites, but a more comprehensive list may be found through the Paonia Chamber of Commerce. The USDA also keeps a list of forest service offerings in the area, which may be found here. Hike Mt. Lamborn (the mountain in the pictures) via Bell Creek. This 8-mile day-hike takes you to the top of Mt. Lamborn’s 11,396ft peak. The view of the valley is beautiful and expansive, but don’t forget your trail map! This trail can be a little misleading for first-timers. Mountain Bike Jumbo Mountain. Considered one of the best (and least-known) singletrack areas in the state, Jumbo Mountain features rugged but flowy desert-style ridgeline riding. Stop at the Hammock to watch the resident Bald Eagles before braving the Ridge of Doom. Need a bike? Cirque Cyclery in downtown Paonia has you covered with a good selection of townie, mountain, and electric bicycles, as well as bicycle repairs and maintenance. And while you’re there, grab a delicious fresh-pressed juice and panini from Remedy! The Black Canyon of the Gunnison North Rim. The North Rim offers stunning vistas of the geology and scale of the Black Canyon, a canyon narrower and deeper than the Grand Canyon. Several hiking trails of varying difficulty levels allow access to different viewpoints. The park is also known for its Rainbow Trout fishing and rock climbing, though access for these activities is more difficult and restricted. Click here for more information. Boat/Fish Paonia Reservoir. The Paonia Reservoir is a long, narrow reservoir located in the Paonia State Park. Boats are allowed for most of the summer, and trout fishing here is a frequent pastime of locals. The best fish are below the dam, but nothing beats a leisurely canoe ride down the reservoir between the surrounding mountains. Visit some of the farms and orchards in the valley. The North Fork Valley contains the highest concentration of organic, sustainable farmers in the state. 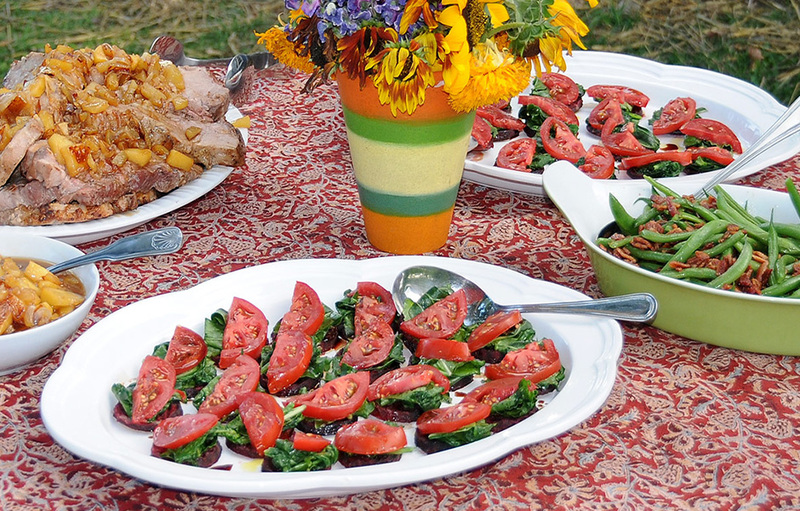 Take a trip to a few of the farms to speak directly with growers and obtain the ingredients to create your own farm-to-table dinner! For more information, please visit the Valley Organic Growers Association. If you’ve managed to come to Paonia on one of our rare rainy days, or want to get out of the heat, or need something to do after your outdoor adventure, there are several indoor entertainment options in or near Paonia. Check out the links below for more information. Paonia United Brewery. A true farmer’s after-hours tavern, PUB strives to make world-class microbrew with local ingredients. Look for live music on Wednesday and Friday nights, as well as the 1-2-Thai food cart that sometimes sets up shop near the back patio! Cool down with Colorado-made ice cream at Ollie’s Ice Cream. Serving mostly Ann and Mann’s ice cream from Colorado Springs, Ollie’s is one of Paonia’s social hotspots due to it’s central downtown location. Look for Cinnamon-flavored ice cream, a favorite of many locals. 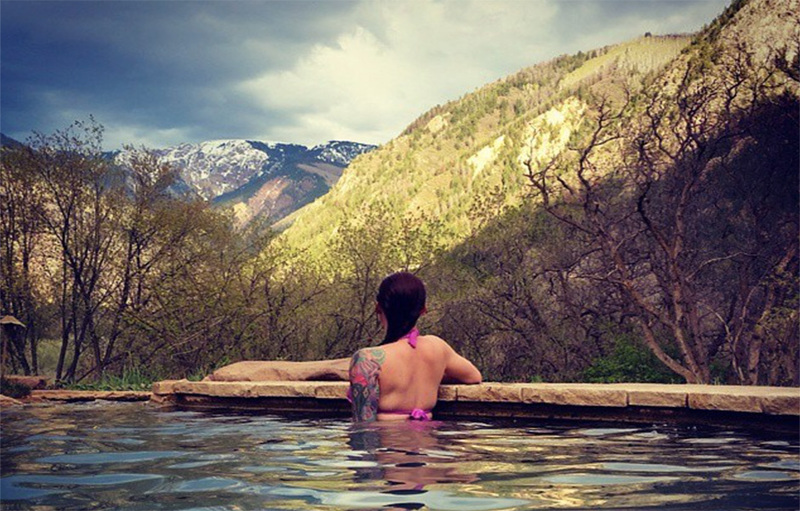 Soak at Avalanche Ranch Hot Springs. Reminiscent of a European spa, this quiet private hot springs is nestled about 45 minutes from us in the pine forests near Redstone. Perfect for relaxing after a long hike, bike ride, or big meal at the Redstone Inn. Tour the Redstone Castle. Take a tour of the Redstone Castle a.k.a. Cleveholm Manor in Redstone Colorado, then stop for a delicious upscale meal at the historic Redstone Inn. Walk the Galleries. It’s no wonder that the North Fork Valley is strewn with artists and art Galleries, each trying to capture the beauty that surrounds us. Take a stroll down Grand Avenue and peruse a few of these exhibitions, or for a more comprehensive art tour, check out this list of local galleries. Take in a concert at the Blue Sage Center for the Arts. The Blue Sage is a hub for all things artistic. Whether you like jazz or Baroque, marimba or banjo, oil painting or watercolor, the Blue Sage has a little bit of everything. Check out their schedule. Interested in seeing unique local art? Our region is home to many artists and artisans, and you can learn about them all from the North Fork Creative Coalition website. Check out their calendar of events as well. 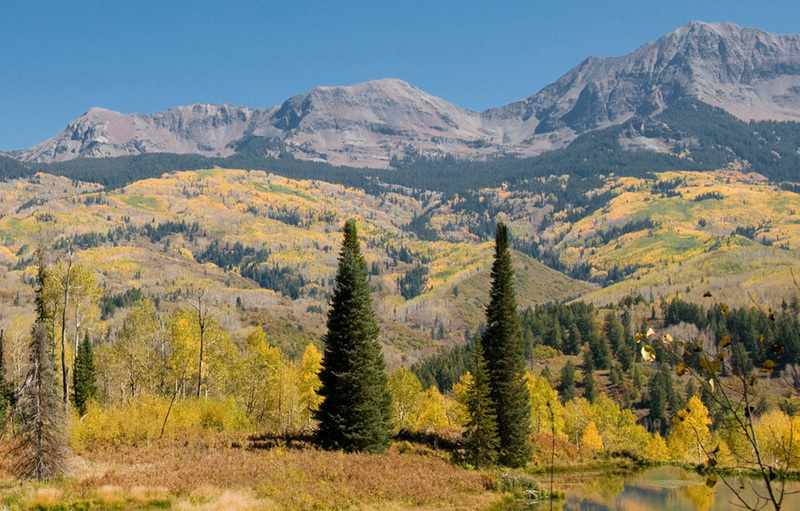 While most of Colorado is beautiful, our area in Western Colorado boasts some of the most views in the state. Take some time to explore these beautiful scenic drives. Don’t forget your camera! Kebler Pass to Crested Butte. During the summer, this is a beautiful drive along a well-kept dirt road from Paonia to Crested Butte. In the spring and early summer, look for the abundance of wildflowers along the way – in the autumn, savor the beautiful reds and yellows of the aspen leaves. Black Canyon of the Gunnison North Rim. With some of the steepest cliffs and oldest visible rock in North America, the Black Canyon is a must-see. We like the North Rim, which is more scenic and less-travelled than the South Rim, but either provides impressive views from and good hiking. While the canyon can be seen from the window of your car, there are many trails of varying difficulties that lead to better vantage points – pick up a trail map at the ranger station, and try out our favorite trail to Exclamation Point! Steven’s Gulch Road (access to Grand Mesa National Forest) . This paved winding road meanders its way through the aspens and cedars and into the pine trees, providing beautiful viewpoints of the valley along the way. Steven’s Gulch Road also provides access to Overland Reservoir, a great place to fish or have a picnic.